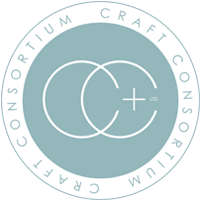 Craft Consortium, the multi-award winning, family run, premium crafting brand, for all your papercrafting, scrapbooking, upcycling and home décor pursuits of creativity. Stand out from the crowd and take your projects to the next level of quality and innovation that you can proudly share with all your friends and family. Make a positive memorable impact with your creations of the imagination; We are your Craft Consortium.